Former Zimbabwe Broadcasting Corporation (ZBC) news anchor Oscar Pambuka and former Zanu-PF Highfield West National Assembly representative Psychology Maziwisa have filed an application for discharge at the close of the State case. In their application, the pair - through their lawyer Mr Jonathan Samukange - argued that they did not commit an offence, adding that there was no misrepresentation proved by the State. However in response, prosecutor Mr Michael Reza, maintained that the pair has a case to answer and should be put to their defence. "The crime of fraud is a crime of intention. It also needs to be proved that the other person to whom the misrepresentation was made acted on the basis of the misrepresentation to his prejudice," he said. "We have the accused persons who misrepresented to ZPC that they would cause ZBC to publish news on radio and television propagating the name of ZPC. Even though they knew that they did not have such power over ZBC, they went ahead with their misrepresentation much to the prejudice of ZPC. "The State believes and tenders before the court that it has made out a prima-facie case against the two accused persons and that their application be dismissed and that they be put to their defence." Harare magistrate Mr Lazini Ncube is set to rule on the application today. 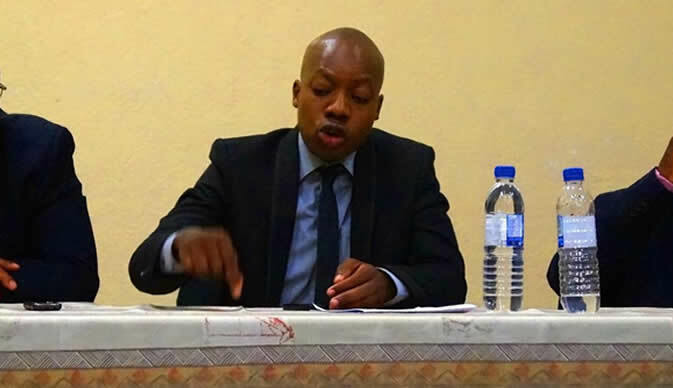 It is alleged that sometime in 2016, Maziwisa and Pambuka took a letter to ZPC from former Energy and Power Development Minister Samuel Undenge directing the firm to work with Fruitful Communications at intervals of six months. Undenge was jailed for an effective two-and-a-half years for abuse of office after he hand-picked Fruitful Communications to do work for ZPC. He is currently on bail pending appeal. It is alleged that on February 12, Fruitful Communications hosted a Zim-Asset conference at Meikles Hotel, where Undenge was the guest of honour. ZBC covered the event, but on March 8, Maziwisa and Pambuka, with the intention of defrauding the company, brought an invoice of $12 650 to ZPC. They allegedly claimed that they had done a Press conference on power projects in Kariba, Hwange and Batoka. Acting on the misrepresentation, ZPC paid the money.